Ever since the launch of Casinoland end of last year, I follow this NetEnt Casino closely to see what this promising online casino has to offer. It’s for good reason Casinoland landed in my top 10 NetEnt Casinos. First of all, because I know that this platform is run by some true iGaming enthusiasts and, therefore, can be marked as highly reliable. 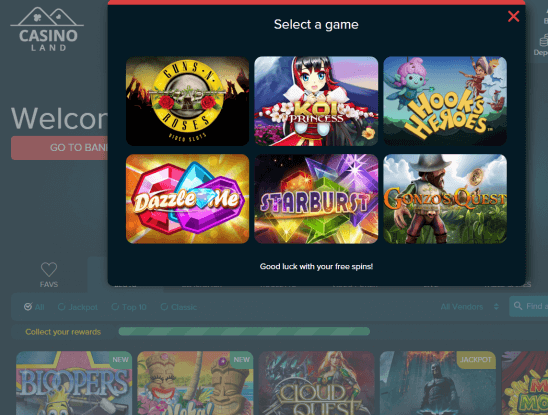 That the team behind Casinoland knows what they are doing can be found throughout the site and even though the site looks amazing already, improvements and additions are made almost daily. 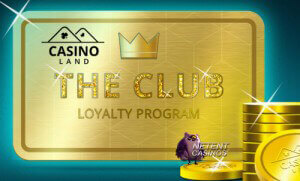 A good addition to Casinoland’s existing promotions is the Loyalty Program available from now on. 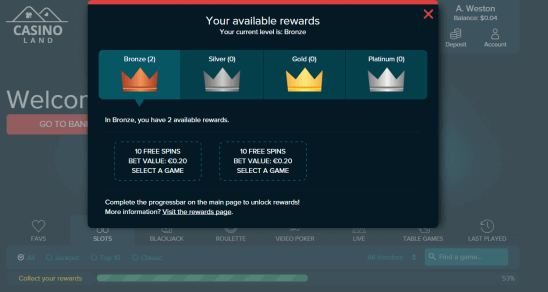 Every bet you make at Casinoland makes it contributes to both your loyalty tier and the progress bar. The better your loyalty tier the better the free spins you will be awarded on completion of the progress bar. Casinoland believes in rewarding their players for what they enjoy doing best, playing their favourite online casino games. While casino bonuses and free spins are given away regularly, Casinoland now also introduced a new loyalty program called ‘The Club’ which rewards you every time you play at this NetEnt Casino. Once a player at Casinoland, you’ll be added to ‘The Club’ automatically so there is no need to apply. Straight after you start playing with real money, you’ll start earning rewards, being able to track your status on the progress bar. There’s only one way to move up the loyalty tiers which is playing with real money at Casinoland. Every time you make a spin on one of the video slots it will contribute to your progress towards the next loyalty tier. The progress bar moves forward with each bet you place, so every time you play with real money you’re closer to activating your free spins. There are wagering requirements attached to the free spins awarded through the loyalty program, but the higher the loyalty tier, the lower the wagering requirements going up to x1 for Platinum. Every week Casinoland will make a selection of the most popular and newest video slots that you can select to play your spins on. I can honestly say that Casinoland is the promise for 2016 and I have no doubts whatsoever that this online casino is going to become one of the fastest growing newcomers this year. People in the industry do know that I don’t easily add new NetEnt Casinos to my list unless they really have something to offer. 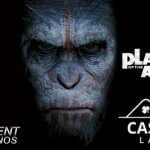 And that’s exactly why Casinoland made it to my exclusive list of NetEnt Casinos. Why? Well, that’s a question very easy to answer as there are several answers available. First, because of Casinoland’s extensive assortment online casino games, mobile casino games. and live casino games. Secondly, because of the many languages/pages available straight from the start which includes platforms specially created for Australia, Canada, New Zealand, the UK, Norway, and Sweden. Players from these countries can look forward to a separate platform in their local currency. Of course, Norwegian players, as well as the Swedish players even got a platform in their own language of which I know it is much appreciated by Nordic players. Thirdly, I love how Casinoland is using several local landmarks for every single platform while the International page has been kept universal. The English players, for example, get their beloved Big Ben and English Bulldog while the Australian players can look forward to a koala of which I now know they are also related to the kangaroo, another symbol of Australia. 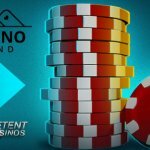 Fourthly, is simply because every single deposit method available at Casinoland, except for one, can be used for withdrawals too which is a feature not available at many NetEnt Casinos.